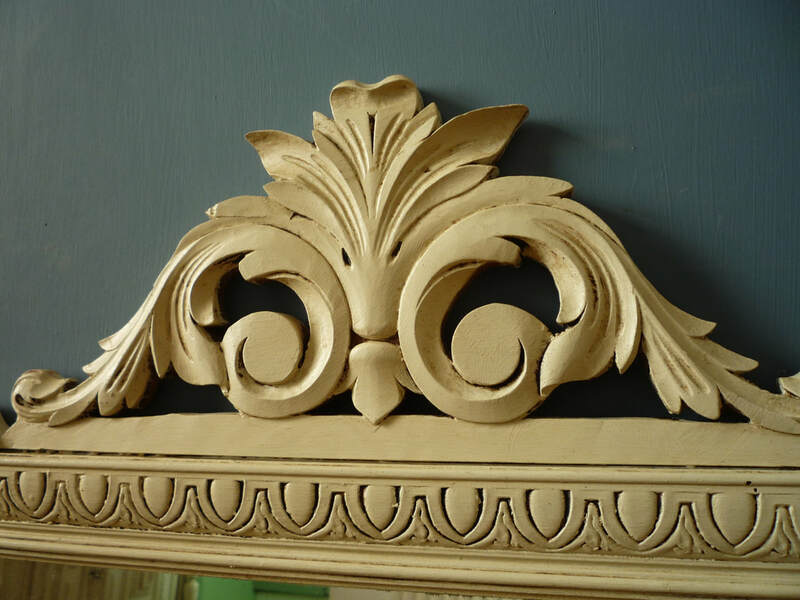 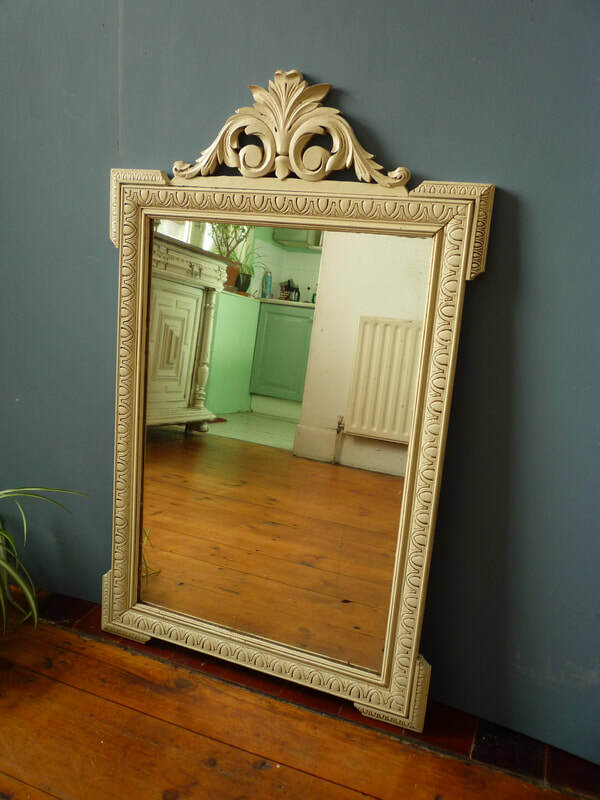 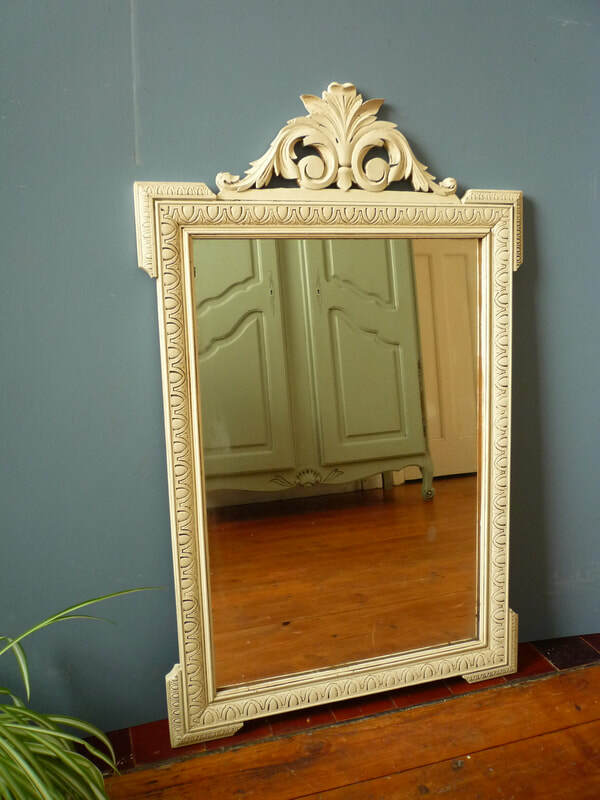 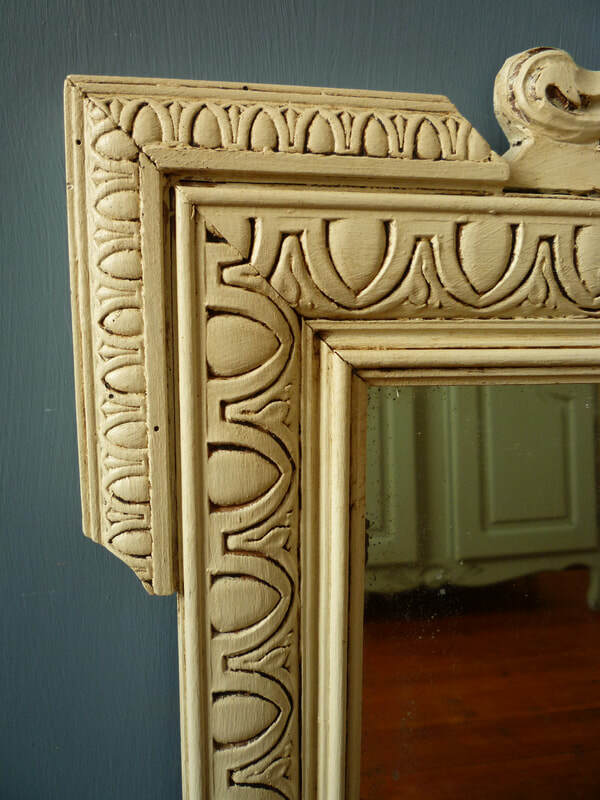 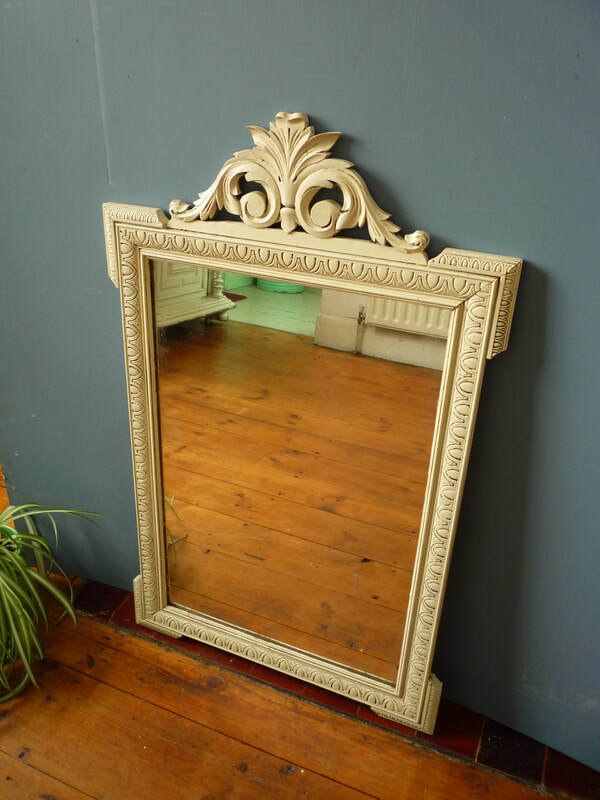 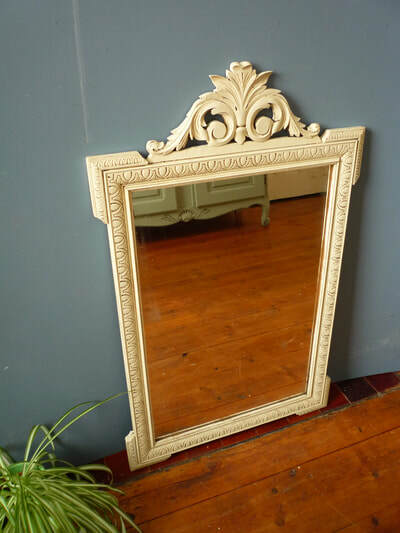 A beautifully proportioned vintage French wall mirror. Dating from the mid 1900s, this is typically French in style, with an intricately carved frame and central crest. 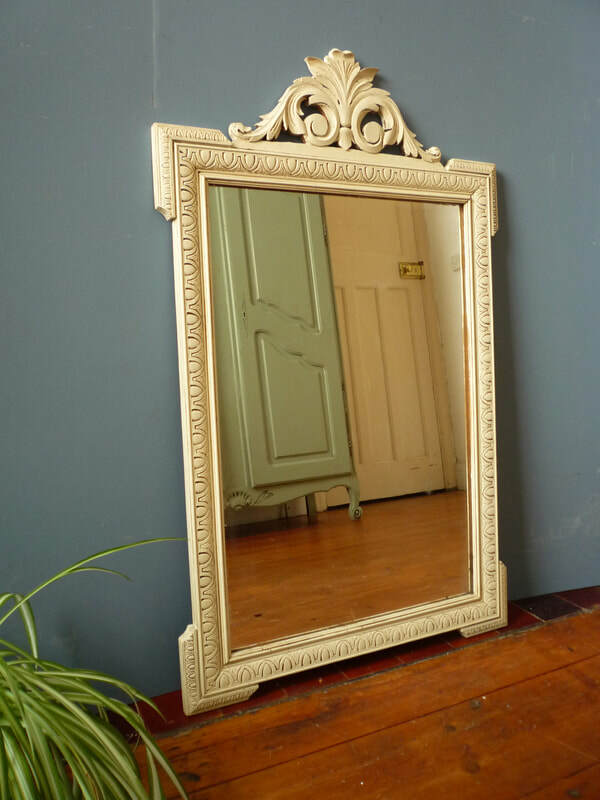 The original mirror glass is in lovely condition with very minimal marking.